In 1967, after completing his watchmaking apprenticeship, Armin Strom opened his own shop in Altstadt (Old Town) area of Burgdorf. At first, he was selling and restoring watches, although he soon began working on producing his own timepieces. His first masterpiece was a gold pocket watch, with a hand-engraved dial in polished blue lapis lazuli. Strom’s manual dexterity and incredible attention to detail led him to hone his skills in skeletonizing and engraving. His desire to cut away all the non-essential parts of the bridges and plate (skeletonizing), allowed him to use his unique skill set to distinguish his timepieces. He started exhibiting his skeletonized creations at Baselworld in 1984, at which point he had already made a name for himself as a master skeletonizer and engraver. He even made it into the Guinness Book of World Records when he created the smallest watch ever to be skeletonized by hand (a ladies timepiece). Notably, thanks to the founder’s passion for skeletonizing and engraving, each piece today, even non-skeleton timepieces, have a signature engraving specific to each movement. Done by hand, of course, like when Strom (who is retired now) was a watchmaker. He also was known for creating pieces based on special requests, another element still true at Armin Strom today. After incorporating in 2006, Armin Strom AG, moved to the watchmaking town of Biel/Bienne where in 2009 they established a manufacture and built their first in-house movement (caliber ARM09). Crafted in stainless steel, the Armin Strom Tourbillon Gravity Water case measures 43.40 mm x 13 mm. The bezel and crown and the top of the lugs are all fully polished. The signature lip on the bezel at 6 o’clock is also polished and can be custom engraved. Brushed case flanks and lug sides, provide a contrast from the predominantly shiny surfaces of the rest of the case. The front and rear sapphire crystals have anti-reflective coatings, offering crystal clear view of the dial and the movement. A push-in crown, embossed with Armin Strom icon, controls winding and time-setting functions. Water-resistance is 50 meters. Designed and manufactured in-house, in Biel/Bienne, caliber ATM13 beats at 18,000 vph (2.5Hz). It is manually wound via the crown and has can run for up to 110-hours (almost five days) when fully wound. A long power reserve ensured that over the course of a two week period, even after setting the timepiece down piece for a day or two, it was always running. An extended power reserve may seem trivial to some, but to this writer, it is a much-appreciated feature. Another observation I want to note is the nice loud ticking sound the watch makes as it oscillates to and fro. Running at 18,000 is an old school rate, and you can hear these slow beats, loudly, even in a fairly noisy room. It makes a very appealing ticking sound, different than any other watch I have reviewed – and I love it! Movement finishing is done to a high-level, as you would expect for a Swiss tourbillon-equipped watch. There are 197 components in total, including 26 jewels. The edges of the bridges are chamfered and polished, along with polished jewel sinks. The large bridge, visible on the back side has a circular Cotes de Geneve decoration. And the tourbillon bridge, also visible on the back side, is hand engraved with an artistic motif, which as I mentioned above, is something done on every Armin Strom timepiece. With a large off-center dial, the “Armin Strom” logo plate secured on the right side of the dial, a lip at 6 o’clock on the bezel, and an open worked dial – you can instantly tell this watch is an Armin Strom. This particular model, the Tourbillon Gravity “Water,” has a luxurious yet industrial feel to it, with beveled and polished edges on the three bridges visible, and satin-brushed surfaces on the top, visible in the center of the dial. Even the jewel sinks have been polished to perfection. A snailed white dial ring has applied Arabic numerals for 12, 3, 6 o’clock, with black transferred numbers for the rest of the combination hour and minute ring. I do wish this was a little easier to read, especially at 9 o’clock, where there is effectively no marking apart from the markings around the tourbillon. Large steel hour and minute hands, with a generous amount of luminescent material, indicate the time. At 9 o’clock is the tourbillon, which like most whirlwinds (tourbillons), rotates completely once every 60-seconds. This tourbillon, however, also has a hand attached to it and effectively becomes a continuous subsidiary seconds indicator when coupled with the steel 60-second ring. This is a nice touch that I wish more watch companies would add to their tourbillons. The Tourbillon Gravity, which has a short articulating lugs and measures 43.40 mm x 13 mm, wears like a sports watch more than a dressy timepiece. It feels good on the wrist. I especially liked the included genuine dark blue alligator horn-back strap with white contrast stitching and a stainless steel buckle. It also comes with an additional dark blue rubber strap. The steel model shown is limited to 50 pieces. (Ref. ST14-TW.M.50) The Tourbillon Gravity is also available in three other variations: rose gold, titanium, a black DLC treated stainless steel. Armin Strom is a relative newcomer in the watch world that includes watch companies dating back hundreds of years. Having said that, they have quickly become a real manufacture, and interestingly, they make many of their own components and even some parts for other watch brands. 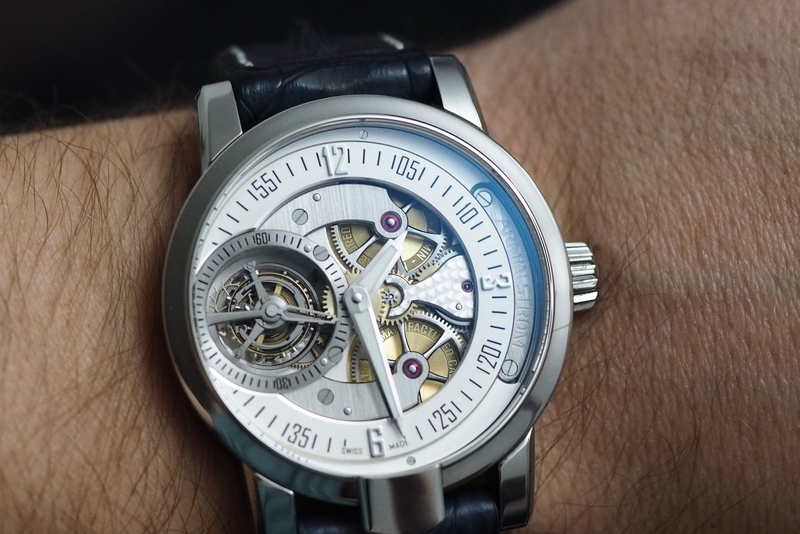 The style is distinctive and instantly noticeable as an Armin Strom, which is, in my opinion, a good thing. With the hundreds of watch companies vying for your money, you can be confident that if you go with an Armin Strom, you are getting an exclusive movement and a design that cuts through all “me too” watches on the market. And if you want a custom engraving, or something a little different, just ask, they will likely accommodate your request, just like when Armin Strom was making the pieces in his workshop back in the day. At a retail of $76,800, this is by no means an entry-level timepiece. 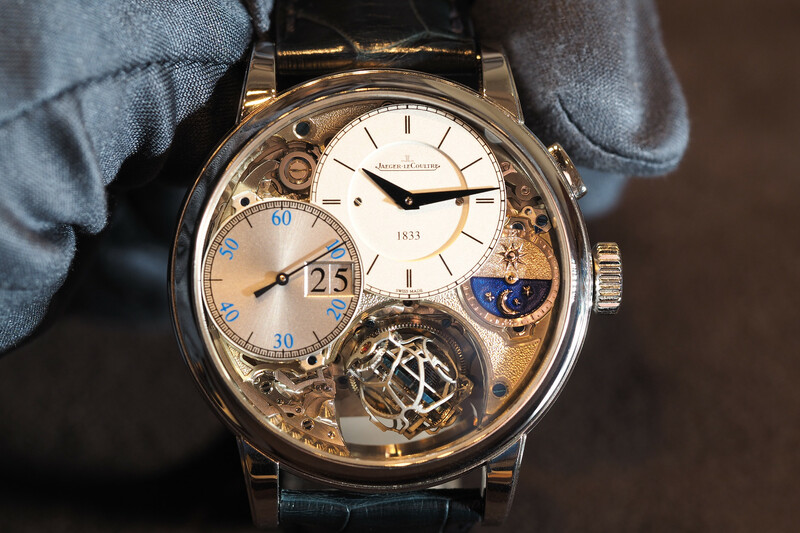 However, it is important to understand that not long ago you could not even get a Swiss tourbillon for under $100K. 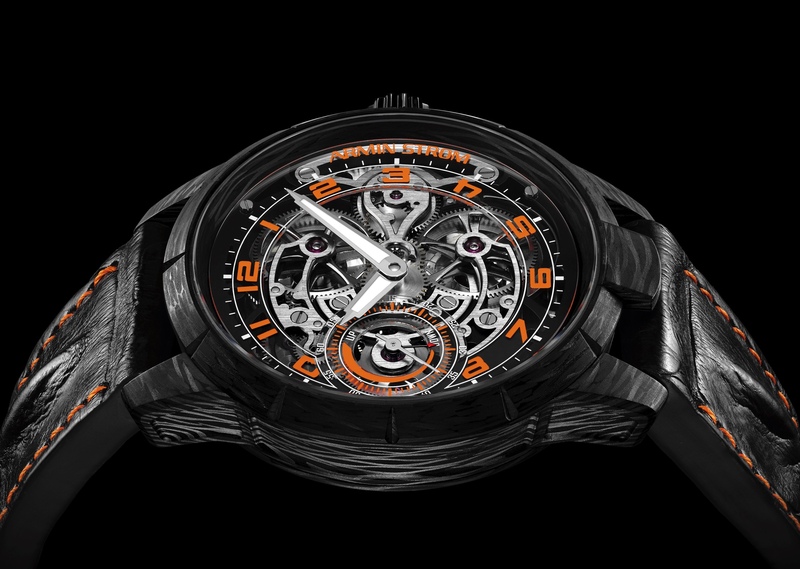 Learn more at Armin Strom.